We received in the post today a mailshot from our local prospective Conservative candidate, Ben Howlett. Ben wants to know our opinion on some matters, and posed some multiple choice questions to help him understand public opinion. My brother, who might know a thing or two about putting together a survey, has done a rather nice little analysis of it which you can see here. I’m not a great fan of marriage. To be more precise, I’m not a great fan of established religious marriage. If two people wish to make a legal commitment to each other in a way that conjoins their fiscal and other responsibilities, and if the state wishes to offer people who have made this commitment certain tax breaks or advantages, that is fine. If you wish to go through a ceremony to mark this, that is no skin off my nose. Equally, should you wish to go through a religious ceremony in which you pledge to each other under the terms of your beliefs then go ahead, blow yourselves away. I just have a problem when the latter, religious type, gets intertwined with the former, civil union. I’m not opposed to authorizing your Grand Panjandrums, Most Holy and Wise, to enact the civil union as well, so that you can get the two done in one fell swoop if you wish for both. But let us stop conflating the two institutions. A civil union is an act authorized by the state, and should be open to any two individuals regardless of race, age, or even (gasp!) gender. A religious marriage is conducted under the eyes of a somewhat different Authority, and frankly I am wholly indifferent to whether said Authority prohibits man-on-man wedding action, miscegenation, or even doing it with someone who, presumably for no fault of their own, has parents who had not themselves begged the approval of the relevant Authority. If you don’t like the club rules, hand in your membership card. As long as these are conflated, they allow a platform for representatives of the various believers’ clubs to claim authority over the practices of people who never assented to be a member of their clubs, and to lobby the government accordingly. This, even if marriage was invented at least a millennium before their club existed, even if their major apostolic figures thought that it was best avoided, and only to be entered into if you really could not contain yourself (when did Lord Carey last pop up to bemoan the overall rate of marriage in wider society, I wonder? ), indeed even if the club was so indifferent to the institution that it did not even officially declare it to be a sacrament until a millennium and half after it began. But enough! I am, apparently, down on marriage. But not so weddings. Marriage may be meh, but I love me a good wedding. Weddings have free wine. You get little pots of bizarrely runny but tasty jam at weddings, and also free wine. At weddings you get to remember that you don’t look too bad, really, when you scrub up a bit and iron your shirt. The wine you spill on said ironed shirt, by the way, is free. At weddings you get to dance to outrageously cheesy music without even having to pretend shame (not that I’ve worried about that for years). Did I mention the free wine? 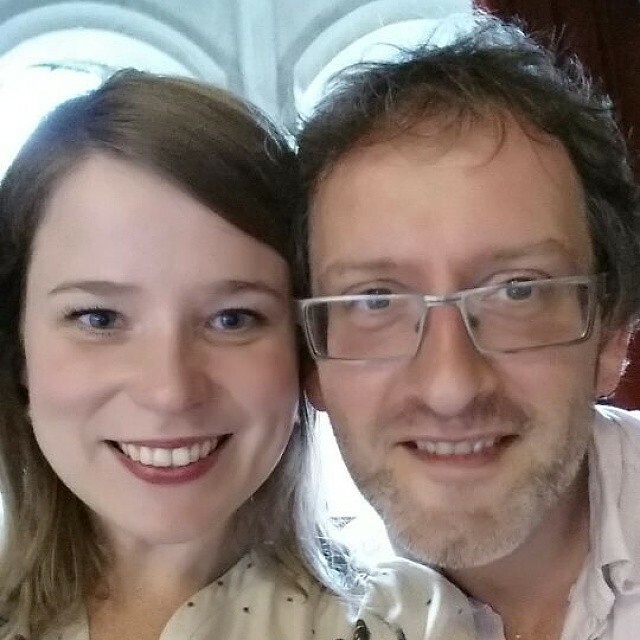 And at the wedding I went to on Friday, you get to be the plus one of an awesome Norwegian lass who you haven’t seen for far too long, and run around Oxford Town Hall taking selfies in naughty places. With wine.